A powerful story about the future, though not completely unrealistic, in which mankind had to leave Earth due to over flooding the Earth with trash from a large world wide corporation, Buy N Large. WALL-E is a robot who collects garbage who is left behind on Earth to clean up the mess after the humans left Earth over 700 years ago. He is all alone on Earth except for a pet cockroach. While enjoying the trinkets and music from the past, a robot named EVE, from a nearby spaceship that is housing the humans who left, shows up to check for any signs of life or chance to live on Earth again. 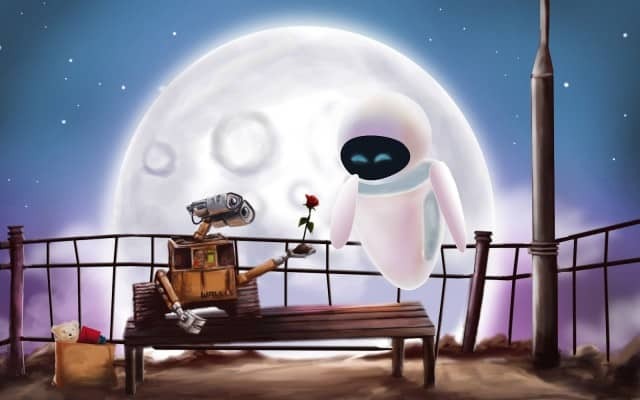 WALL-E falls in love with her, and shows her a plant that he found that had recently grown. Once EVE takes the plant, she is deactivated and WALL-E protects her from the elements of Earth until a ship comes to collect her. WALL-E hops on the ship to see where it was taking EVE, and finds the humans in their current state. When the auto-pilot computer on the space resort tries to prevent the humans from returning to Earth, WALL-E, EVE, the captain, and other robots decide to stand up and fight. One of the more recent animated films, Wreck-It Ralph, is about a video game villain who no longer wants to be seen as the bad guy. He wants to be as loved as the video game’s hero, Fix-It Felix. When Ralph sees that people tend to love a hero, he decides to commit a video game crime by leaving his game for another one in the arcade, so that he can win a medal and finally be seen as a hero instead of as the bad guy. After wrecking everything in the game that was supposed to make him a hero, he accidentally opens the arcade to a deadly enemy that wants to take down every game in the arcade. After meeting Vanellope von Schweetz, who’s considered a glitch in a candy themed racing cart game, she helps him understand what it means to be the Good Guy. 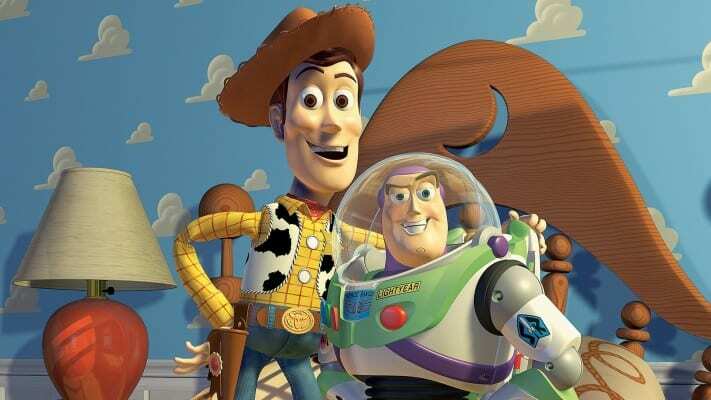 They team up with two unlikely heroes to help take down the enemy for good and save all of the games in the arcade. A sweet couple, Carl and Ellie, fall in love and marry, making big plans for children and traveling to South America together. After suffering a miscarriage, Carl and Ellie decide to make one of their other dreams come true together, and travel. After 70 beautiful years of marriage together, Ellie dies and Carl becomes a depressed and bitter man, rightfully so. 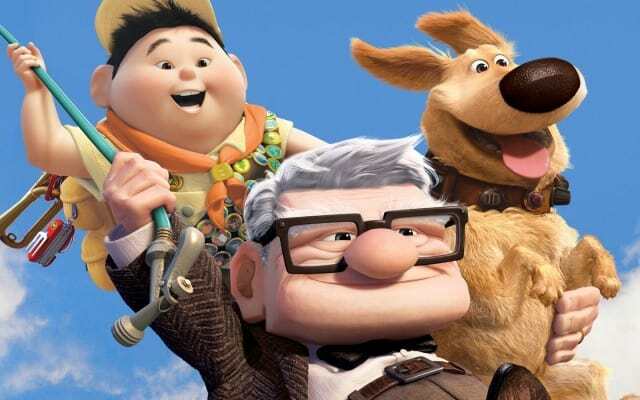 After Carl inadvertently hits a construction worker and is forced to be moved into a retirement home and sell his house, he decides to make his house fly away. An unexpected person has joined him on his journey, an 8 year old kid named Russell, who wants to earn a new badge for his scout vest by assisting the elderly. Their journey takes them to unexpected places and they learn more about each other along the way. The old adage, don’t judge a book by it’s cover, seems to play a central theme throughout Up, and is a heartwarming tale about hope. 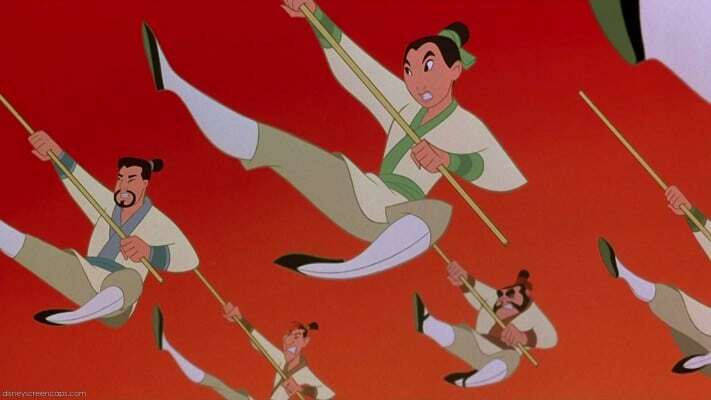 Mulan is an exciting retelling of an old Chinese folktale that centralizes around a young Chinese maiden who wants to fight in the impending war in place of her weakened father, knowing he would not survive if he went off to war. After rejecting being set up by the matchmakers, Mulan goes to visit the ancestors one last time before beginning her transformation to appear as a man so she can be a soldier in the army to help fight off the Huns who are invading. Her ancestors do not agree with her choice and decide to send a dragon named Mushu to join her and help her to abandon her plan. After Mushu meets Mulan, he quickly realizes that she is a headstrong woman who is not going to change her mind, so he decides to stay with her to help during the tough times they are about to face. A story of courage and overcoming seemingly impossible odds, Mulan will leave you wanting more and cheering for her army. One of the classic animated films from the 1990s, The Lion King is about a young lion named Simba, who is the son of the King, Mufasa, who ends up getting cast out from his pride after his jealous uncle, Scar, kills his father in cold blood. Simba finds new friends that quickly becoming family as he grows from a child to an adult, a meerkat named Timone and a wild hog named Pumba. Timone and Pumba teach Simba that the best motto in life to live by is “No worries for the rest of your days”. However, when Simba’s past catches up with him, he sees the damage his evil uncle has brought upon the kingdom. 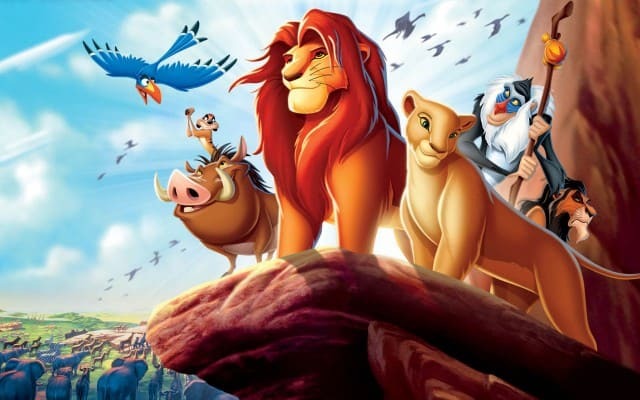 Simba then has to decide if he is going to face Scar and bring justice to his land, or run away from his problems again. The Lion King is a tale that proves loyalty means everything, and through hard work comes great reward. Spirited Away is a Japanese animated film that follows a girl named Chihiro and her parents as they move to a small town, though Chihiro greatly disapproves of the move. On the move, her father gets lost and meets a dead end at the end of an abandoned road in front of a tunnel. Deciding the explore the area, Chihiro and her parents find an abandoned amusement park with a little town and a restaurant with delicious food but no staff there. Chihiro decides not to eat at the restaurant like her parents decide to do, and explores the park more. After meeting a boy named Haku, she learns that her and her parents are in danger, and that they have to leave as soon as possible. Once she learns this, she quickly runs back to the restaurant to warn her parents when she finds that they have turned into pigs. Chihiro quickly finds that the theme park is inhabited by spirits, evil gods, and demons. 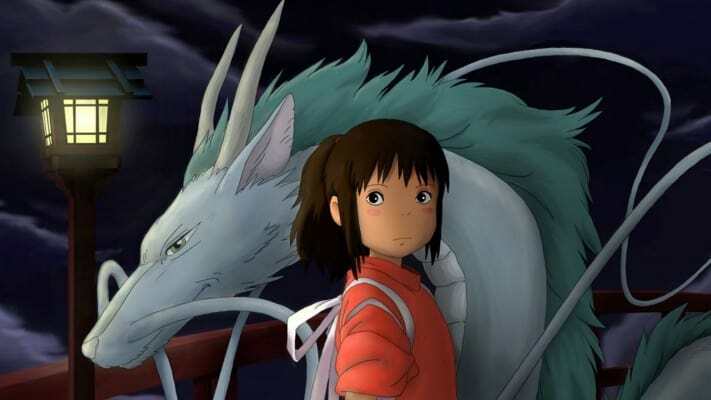 Chihiro speaks to Haku to find out that she needs to find a way to please the spirits in order to save her parents before they become someone else’s meal. An illegal genetic experiment, named Stitch, is sentenced to be put onto a prison asteroid, but he escapes before it could be carried out. The scientist who created him, Dr. Jumba Jookiba, was put into jail immediately when Stitch was found to be aggressive. After Stitch escapes in a spaceship, he lands on Earth on the Big Island of Hawaii. 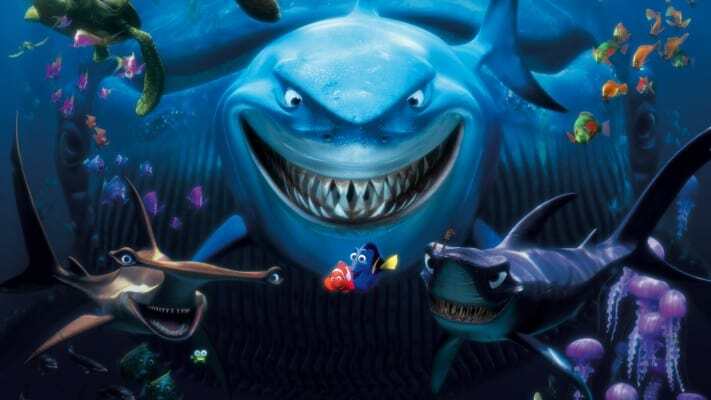 Ironically, Stitch’s weakness is that he cannot swim, so he can not do much harm on Earth. However, a little girl named Lilo decides to adopt Stitch as her dog, which causes Stitch to become emotionally attached to Lilo. Dr. Jookiba and the Earth expert Pleakley are sent to Earth to capture Stitch so he can be punished by the Grand Councilwoman. With Lilo and her older sister, Nani, who is her caretaker, are faced with the possibility of being separated due to the things a social worker named Cobra Bubbles has seen, things get chaotic. 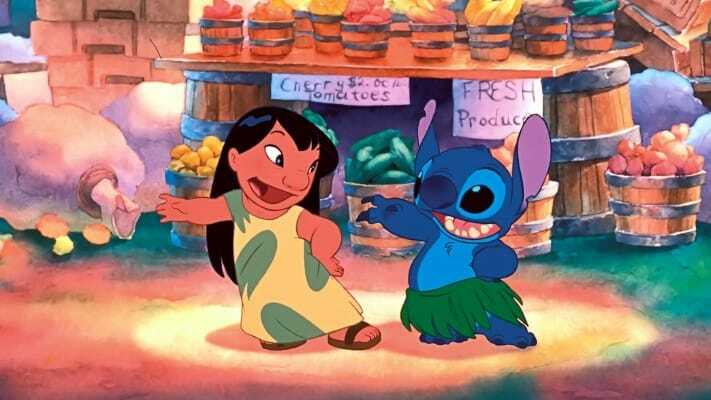 Lilo and Stitch is a great film that is about family and always being there for each other. 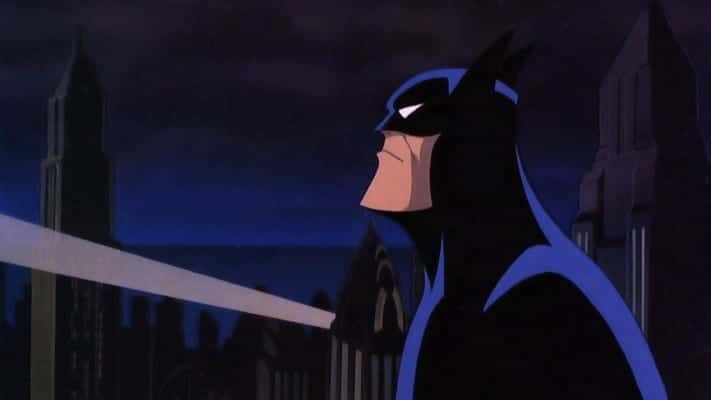 Batman: Mask of the Phantasm is the best Batman animated feature that lead to the creation of The Dark Knight Trilogy that began with Batman Begins. Batman finds that there is a new vigilante who is killing off important mobsters in Gotham City, who leaves a cloud of smoke behind him wherever he goes and has a scythe-like blade for a hand. The police mistake Batman to be the homicidal maniac and demand that Batman be brought to justice. All the while, Batman’s old love, Andrea, returns to town and creates chaos while he is trying to hide the fact that he is Batman from her. Andrea knew him as Bruce Wayne, and after she left ten years prior, Bruce Wayne decided to become Batman and save Gotham City from crime. The Joker, long time enemy of the Batman, decides he wants to annihilate the new vigilante, regardless of who it could be. Centralizing around a young Iranian girl named Marjane ‘Marji’ Statrapi, Persepolis is a story that follows her view of the events unfolding around her in 1970s Iran, during the region of the Shah and after the Iranian Revolution of 1979. As she grows up, she sees how the new Iran is ruled by Islamic fundamentalists and has quickly become a repressive state over the people of Iran. 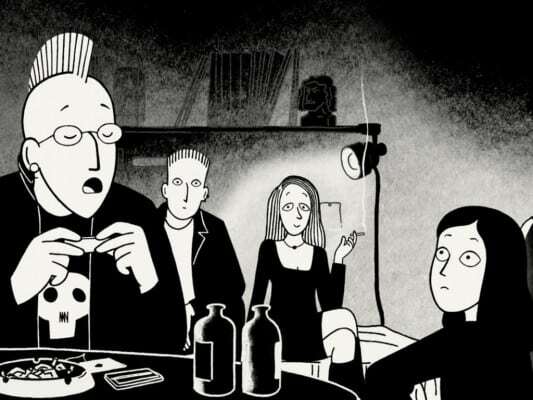 Marji refuses to stay silent against the tyranny, which prompts her parents to send her to Vienna to go to school and have a chance at a better life. Culture shock sets in when she arrives in Vienna as Marjji struggles to deal with abrasive people and significant disappointments that trouble her. After returning home, Marji finds that she and her homeland of Iran have changed so much that her and her family have to decide where they truly belong. A powerful story about changing, adaptation, and bettering yourself and your family for the best life possible. Tim Burton’s classic animated film, The Nightmare Before Christmas, turned into a cult classic loved by children and adults alike. The Nightmare Before Christmas follows a pumpkin king named Jack Skellington, who is responsible for the lives and well being of the inhabitants of Halloween Town. Year and year, Jack Skellington and the town celebrate Halloween in the same way, honoring himself, the pumpkin king. Jack Skellington quickly becomes bored and seeks to find something new. 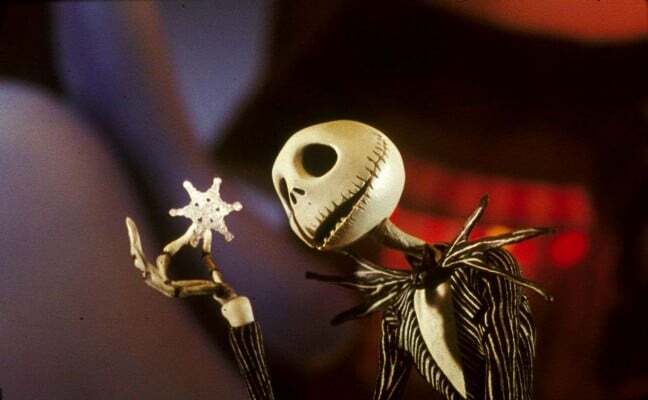 After leaving Halloween Town for a little journey to search for something better, Jack finds a circle of trees that have different doors with holidays on them. Jack opens the Christmas door and falls into Christmas Town, when he discovers the beauty of Christmas and decides to bring Christmas back to Halloween Town. From Santa getting abducted to a pumpkin king trying to deliver presents on Christmas, the story has a beautiful theme of accepting yourself for who you are. A classic family tale loved by many, Dumbo is the sweet story of a baby elephant that has to overcome hardships and is ridiculed because of his enormous ears. After being delivered by a stork to Mrs. Jumbo, who is an elephant veteran of the traveling circus, she falls in love with her baby and names him Jumbo Jr. The other animals make fun of his large ears, ridiculing, bullying him, and they resort to calling him Dumbo instead. After an incident at the circus when a mean child pulled on Dumbo’s ears and his mother came to his rescue to protect him, they trainers lock away Mrs. Jumbo for being aggressive. 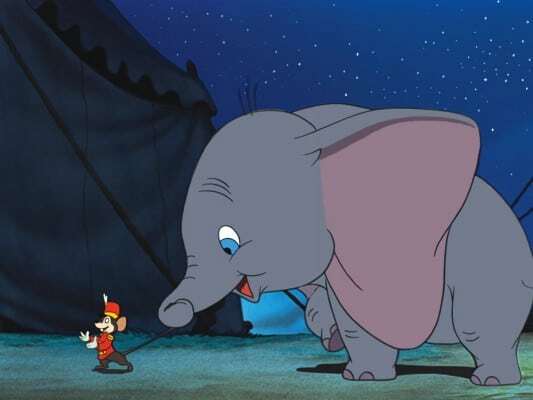 After they are separated, Dumbo meets a kind mouse named Timothy, who helps Dumbo to see his true potential despite the trainers making Dumbo work with the clowns. One day Timothy gives Dumbo a magic feather that helps him to fly away, so he can finally be reunited with his mother. Overcoming adversity is the main moral of Dumbo, which makes it a very relatable movie to all. 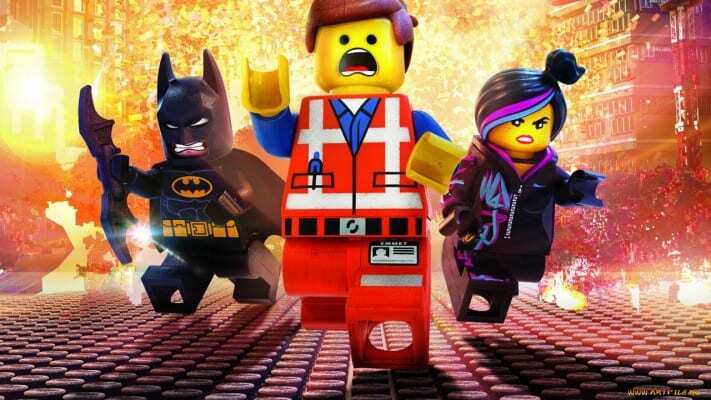 The Lego Movie is one of the funniest recent animated movies that released within the last year. Following a Lego character named Emmet, who is an ordinary figure going about his every day life. Vitruvius, the wizard who is trying to protect a superweapon from the evil tyrant named Lord Business before he ruins the entire Lego universe. Eight and a half years later, the person that Vitruvius prophecized to be the special, is Emmet. After coming across Wyldstyle, a woman who Emmet found searching for something at his construction site, Emmet finds out that he is an extraordinary person and is an extremely significant part in saving the universe of Lego. Emmet sets out on a journey with friends and encounters epic events along the way, such as Batman and Unikitty. Catchy songs, a lot of great humor, and classic beloved comic book characters make The Lego Movie a jam packed film that is sure to delight viewers. A young Viking named Hiccup decides to join up on the Island of Berk’s fight against the dragons that keep wreaking havoc on their town. Stoik the Vast, Hiccup’s father and leader of their village, refuses to let his son be a part of the resistance. Hiccup goes against his father’s wishes and goes into battle to find Night Fury, a mysterious dragon that, when Hiccup finds, he cannot kill. Night Fury and Hiccup become friends that show how both species have misjudged one another, and decide they have to band together to keep their two worlds from destroying each other out of pure ignorance from being able to understand each other. 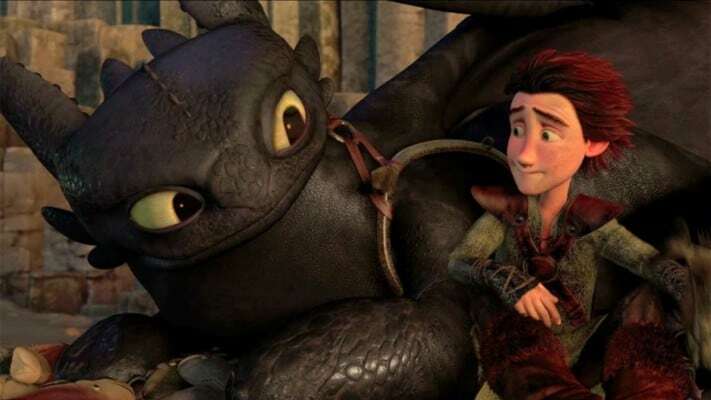 How To Train Your Dragon is a wonderful story that focuses on how humanity itself judges each other for small differences, when we should all be coming together because we are all the same at heart, and we are in this journey of life together. 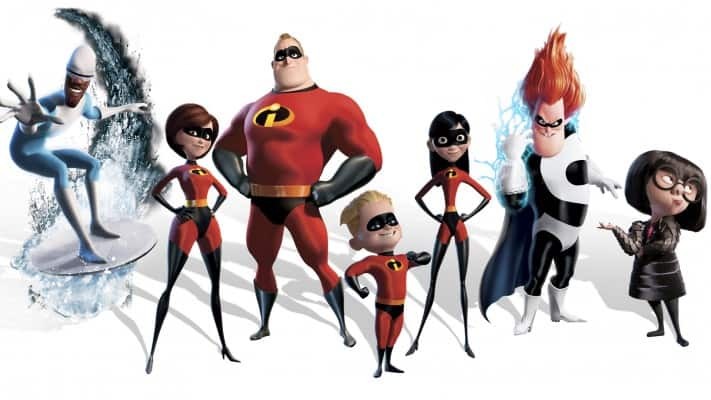 The Incredibles is about a modern day family who just happens to have superpowers. Bob Parr, who is Mr. Incredible, and his wife Helen, who is Elastigirl, are a famous crime-fighting duo of superheroes in their city of Metroville. After years of saving lives and protecting the town from evil villains, they retire and settle down to have a family together. Living in the suburbs under new civilian identities, they have three children, Violet, Dash, and Jack-Jack who all were born with superpowers. Trying to live a normal life, Bob receives a summon to become a part of a secret assignment on a remote island that he would be able to use his superpowers again to take down an enemy. To save the world from total destruction, it will require the help of his super family to make a difference. The Incredibles is a wonderful story that shows that no matter how different your family may be, your bond remains strong in the face of adversity.